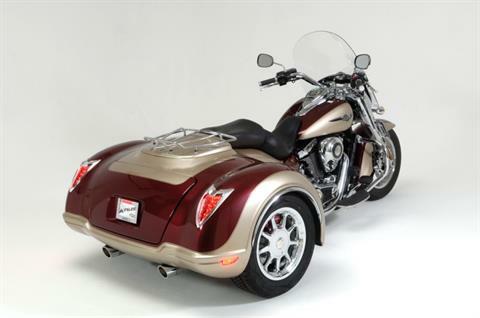 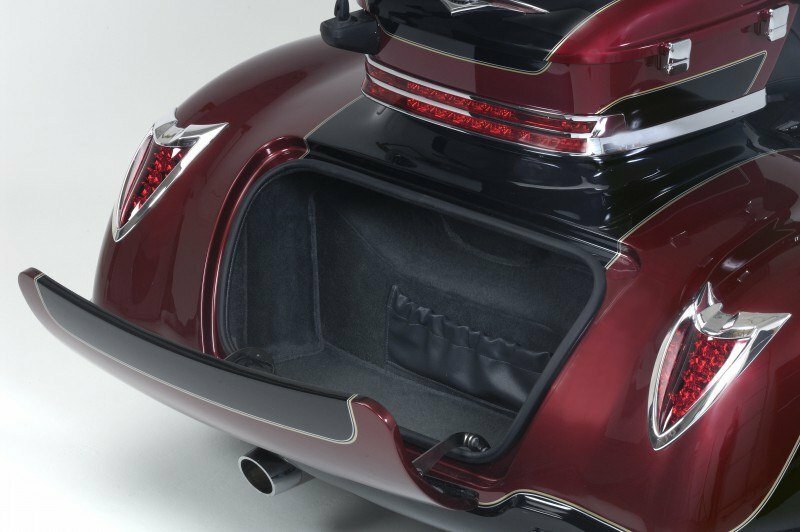 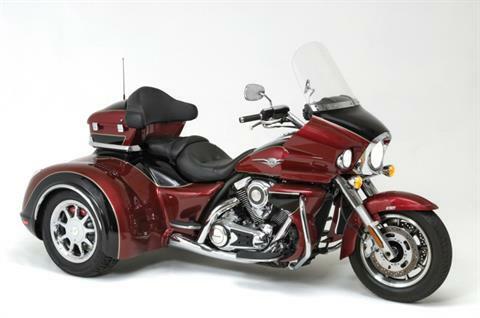 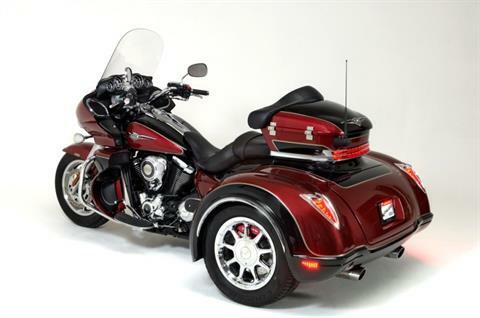 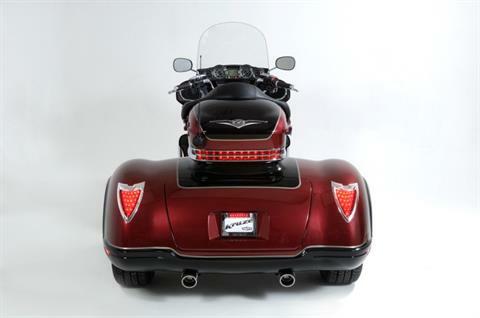 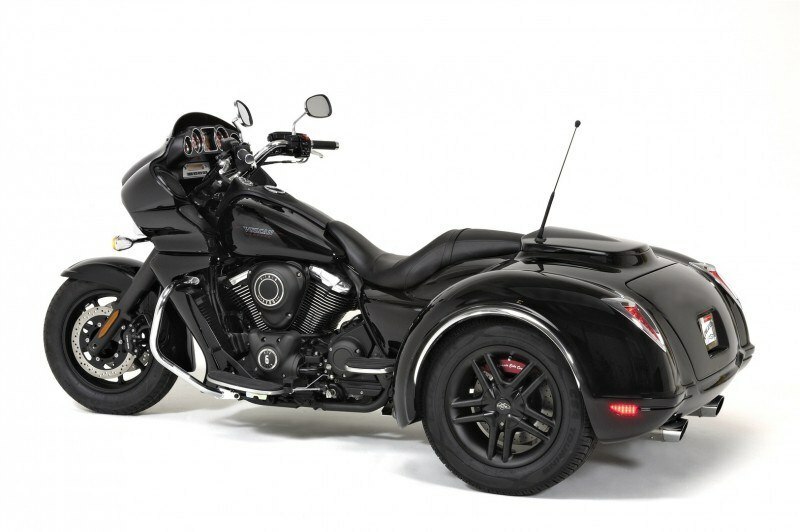 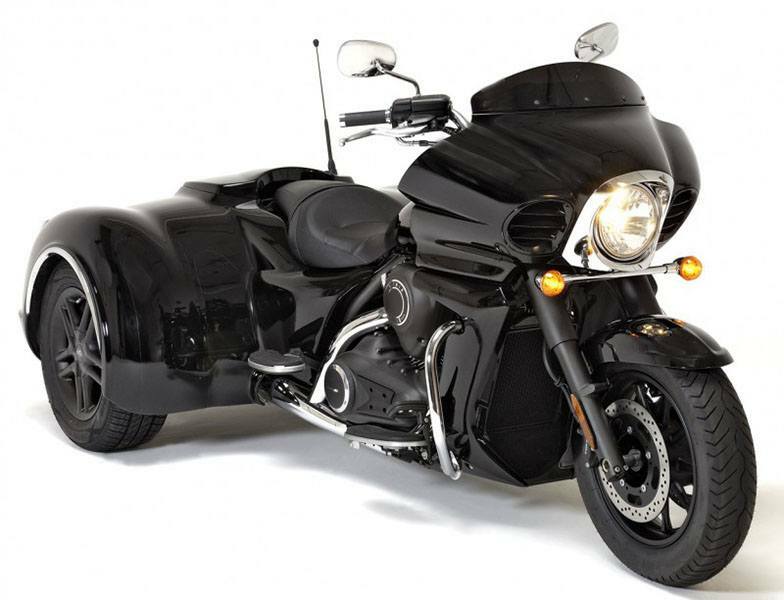 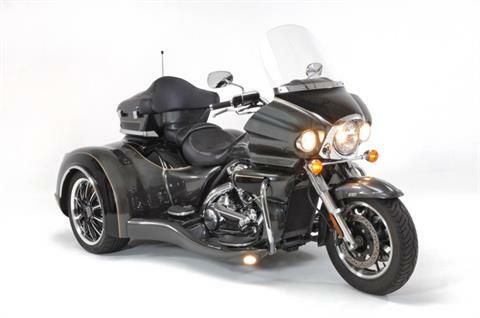 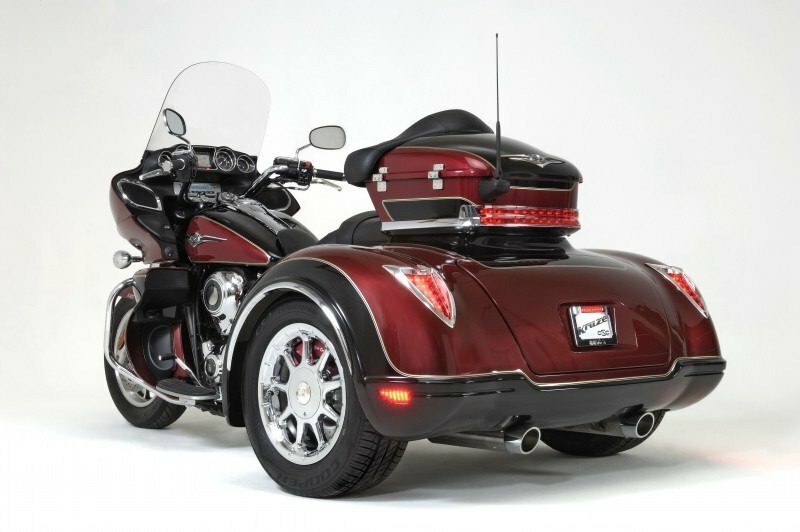 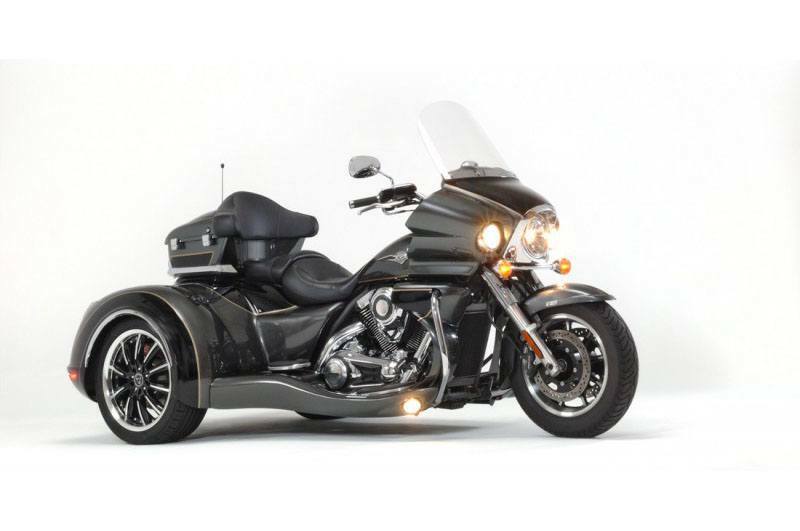 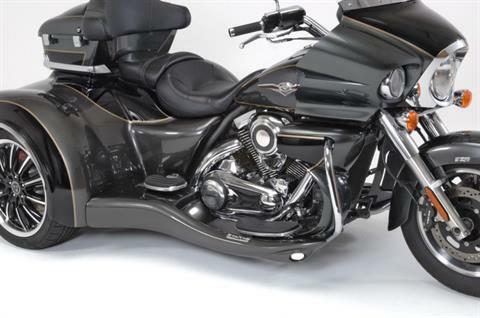 Introducing California SideCar’s first trike for the Kawasaki brand of motorcycles, the CSC KRUZE. 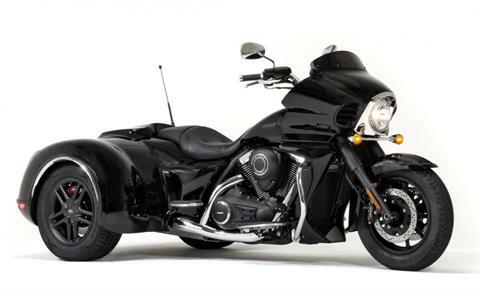 Performance designed independent suspension with vertically stabilizedopposing Rocker Mono Shock. 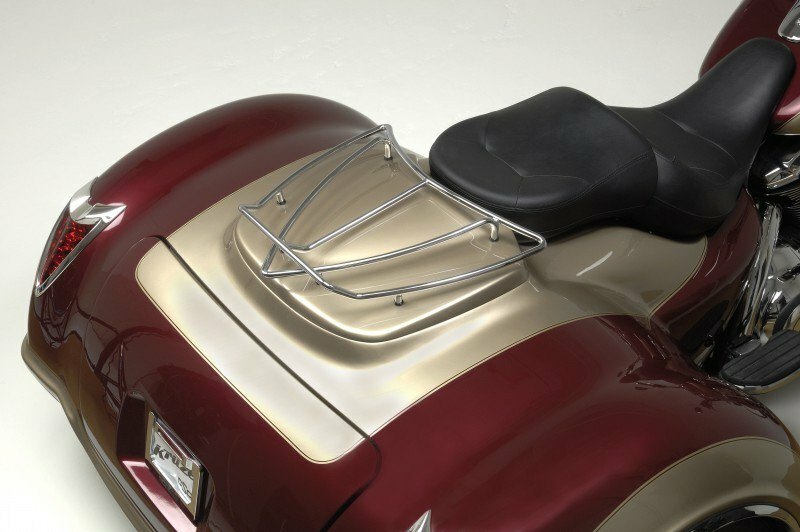 Shock Spring: QA 1 300 Ib linear wound racing spring designed to accommodate up to 650 Ibs plus optional preloader.